Hindus and Muslims Come Together Through "A Muslim in the Midst"
Three days after the 9/11 terrorist attacks in New York, a poor Muslim couple accosts an affluent Hindu couple to request a ride. 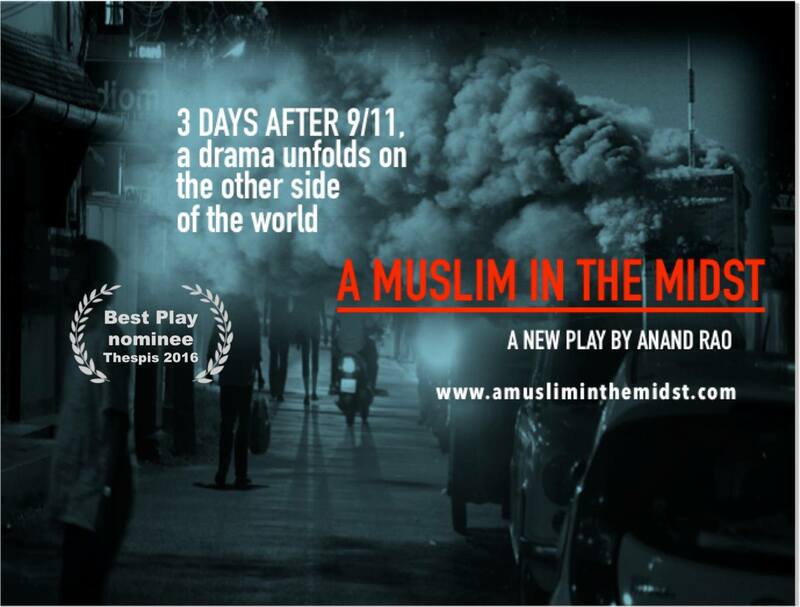 “A Muslim in the Midst,” an award-nominated play by Anand Rao, tells the story of what happened. After some deliberation, the Hindu couple agrees to give the Muslim couple a ride. What transpires as a result of this rendezvous, though, is an ideological dialogue that touches upon various topics including, religion, global politics, modern medicine, feminism, sexism, terrorism, poverty, education and social inequality. Ultimately, what surfaces from this conversation are the primal fears and prejudices of the Hindu couple about the Muslims in their midst. Through this revelation, the play highlights one of the most pervasive paradoxes of modern society — that the most progressive and educated members of society may be susceptible to such xenophobic dogmas. Rao, the playwright of “A Muslim in the Midst,” has received accolades from his own actors, audience members, and theater enthusiasts from across the board. One sentiment that is echoed in all the appreciation that this play has received is Rao’s astuteness in keeping the audience contemplative and engaged in the conversation beyond the conclusion of the play. “A play or any work of art for that matter that stays with you long after its conclusion, and opens up a discussion within you, is a masterpiece. That’s as high a compliment I can sincerely give ‘A Muslim in the Midst.’ I long for more such experiences,” acceded Kanad Banerjee, an award-winning creative director. One of the leads of the play, Gopal Divan agreed with this sentiment. Strong performances by the protagonists, Deeksha Ketkar, Ram Kanneganti, and Nikita Tewani, augmented the already strong storyline of the play. The play has earned a nomination to the prestigious Thespis Theater Festival, and rumor has it that plans are underway for a Bangalore showcase of this highly acclaimed theatrical genius. 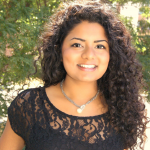 Aditi Paul is an assistant professor of Communication Studies at Pace University. She tries to find out how strangers become friends and lovers with people they meet online, all in the name of academic research. When she is not professing, you will find her pretending to be a singer and a guitar player on SoundCloud. Brown Girl Magazine was created by and for South Asian women who believe in the power of storytelling as a vehicle for community building and empowerment. We empower and engage those who identify as South Asian women living in the diaspora with a hyphenated identity. Break Out the Banana Leaves: Let’s Celebrate Vishu! 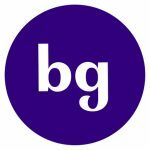 Founded as an online publication in 2008 in Houston, Texas, Brown Girl Magazine is now a multimedia company with a global reach. It was created by and for South Asian women who believe in the power of storytelling as a vehicle for community building and empowerment. Our mission is to empower and engage those who identify as South Asian women living in the diaspora with a hyphenated identity. © Copyright 2019 | All Rights Reserved | Brown Girl Magazine, Inc.